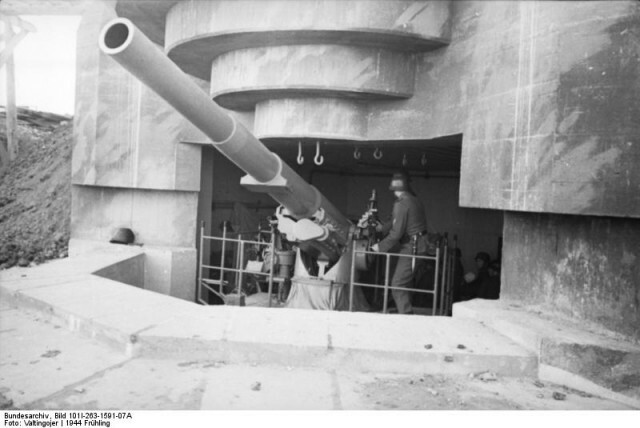 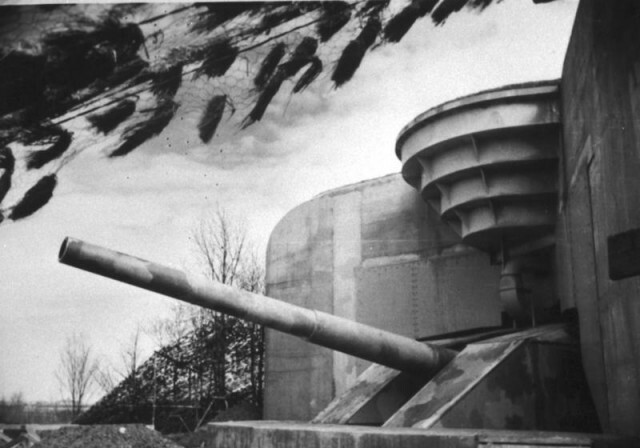 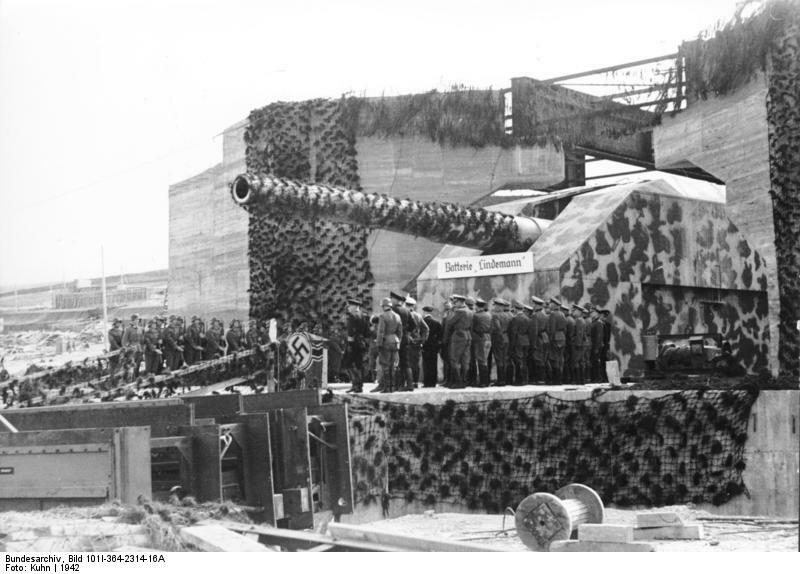 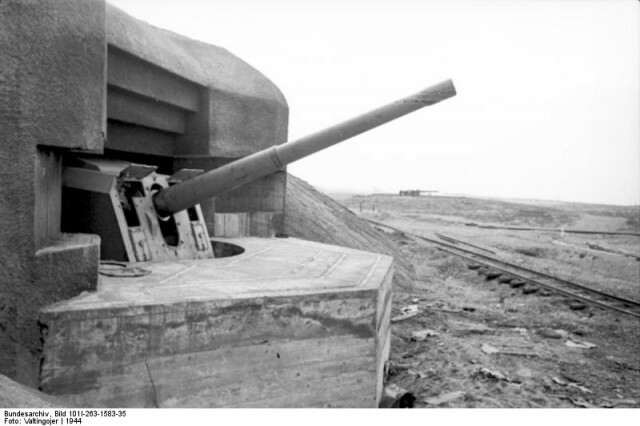 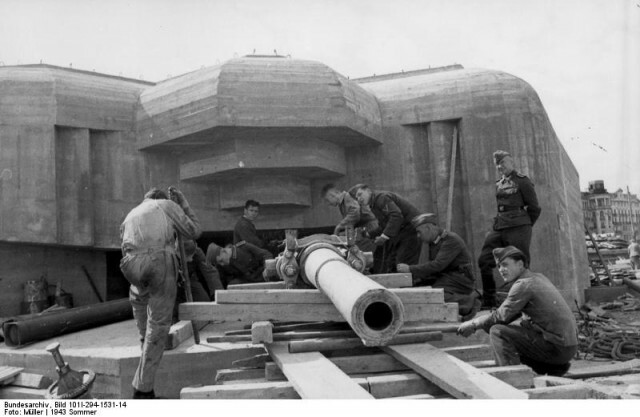 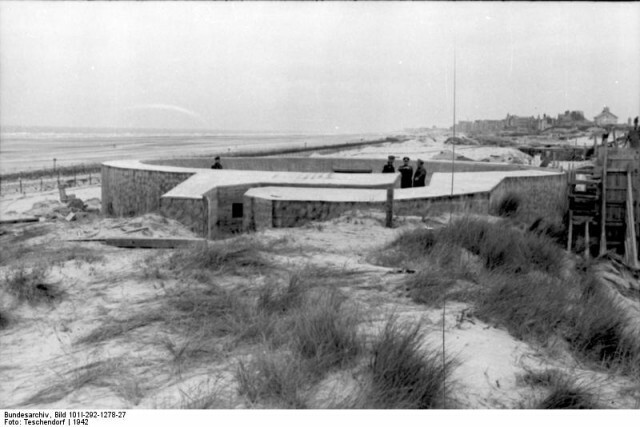 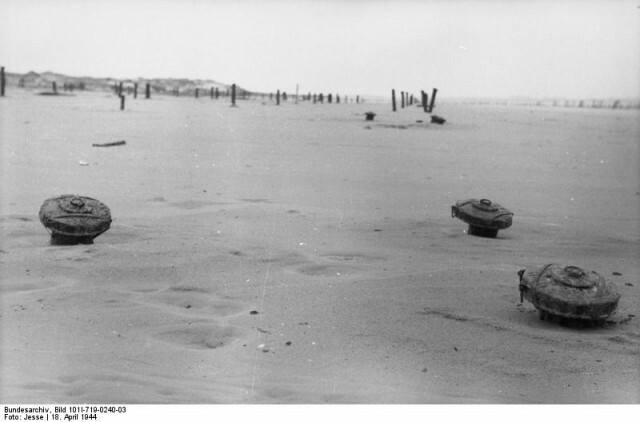 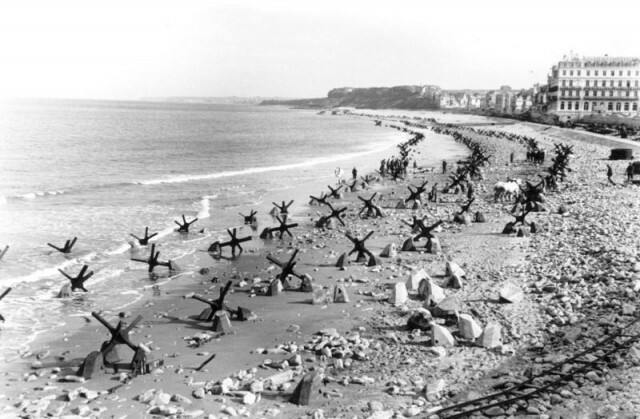 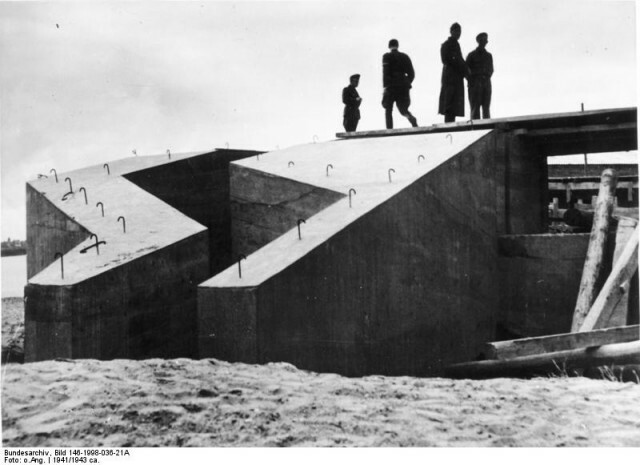 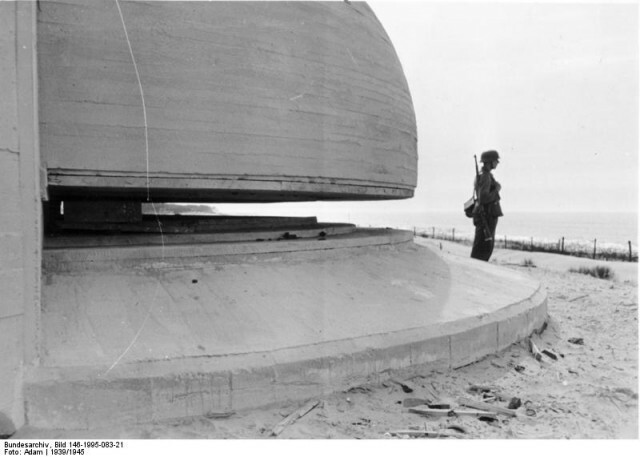 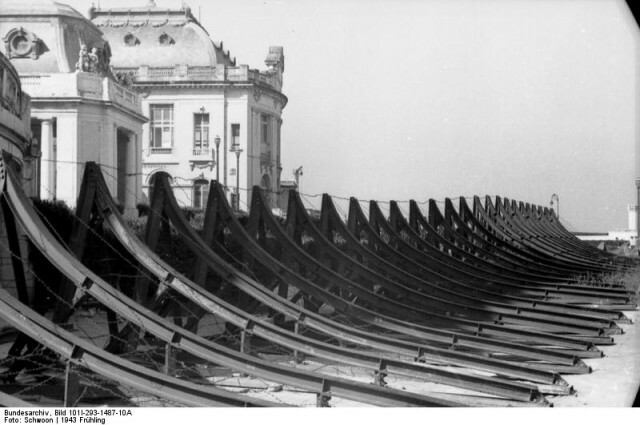 The Atlantic wall, meant to be an impregnable line of beach obstacles, bunkers, and minefields, was breached in Normandy in most places within a couple of hours. 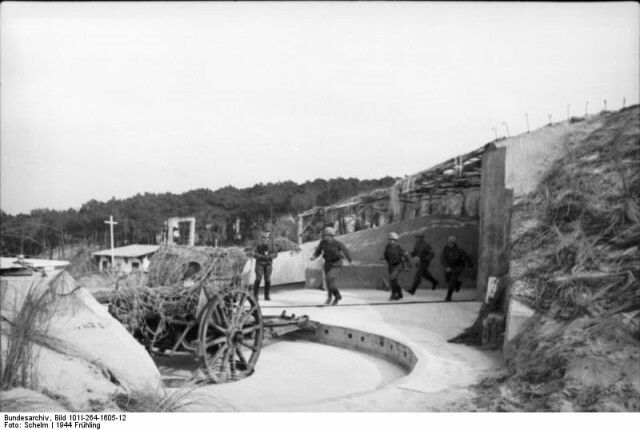 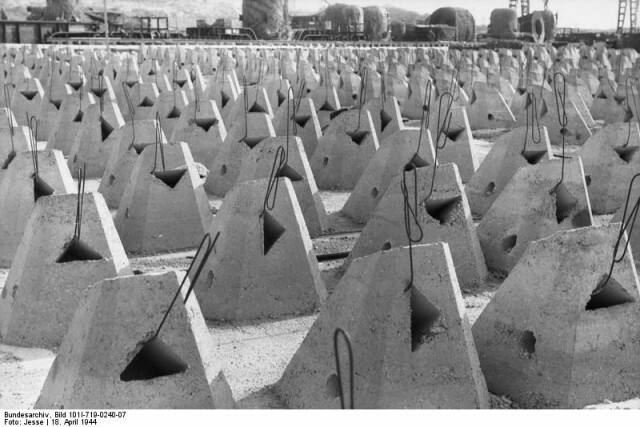 The Allies did not attack where the “wall” was strongest but even so, the speed with which they pushed through it came as a surprise to the Allies. 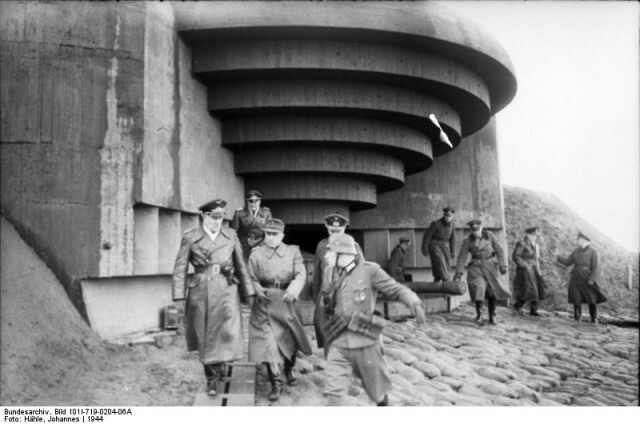 These are Propaganda pictures of the Atlantik Wall around the Pas de Calais where the Germans had expected the invasion to take place. 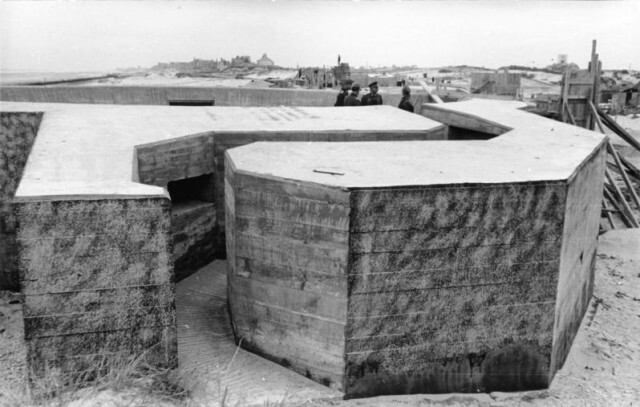 This area was fortified with a continues line of bunkers and gun positions, as these pictures will show. 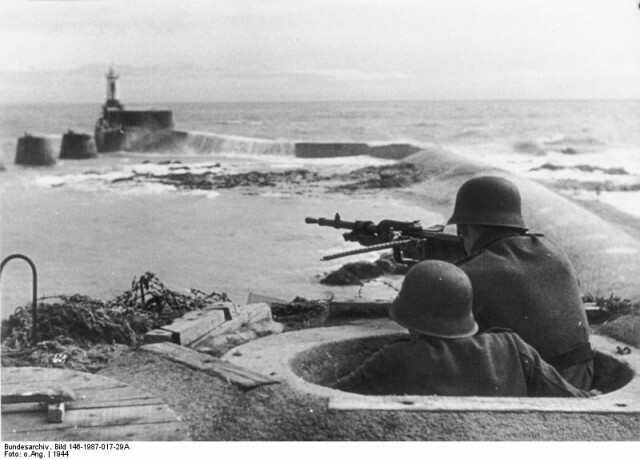 Hitler believed it could not be breached, he was wrong. 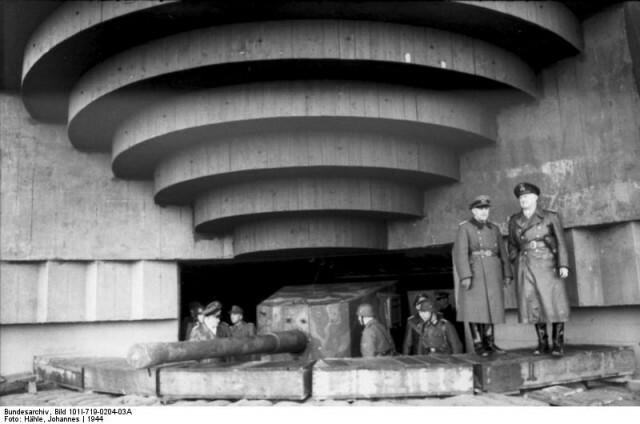 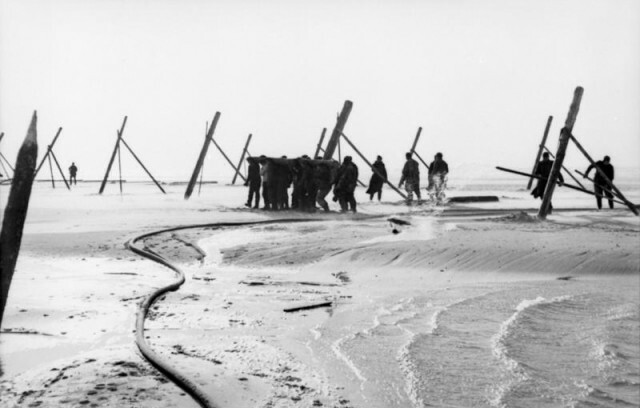 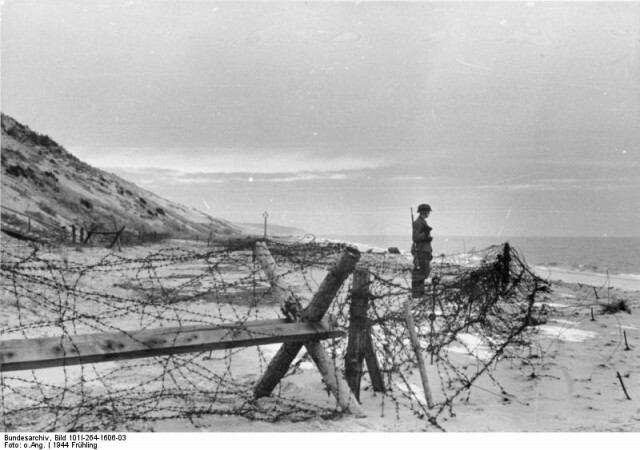 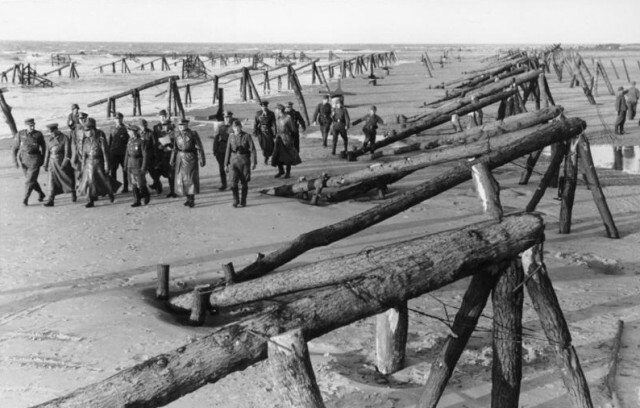 Field Marshal Erwin Rommel with officers on inspection of wooden barriers on the beach before the Atlantic Wall, April 1944.